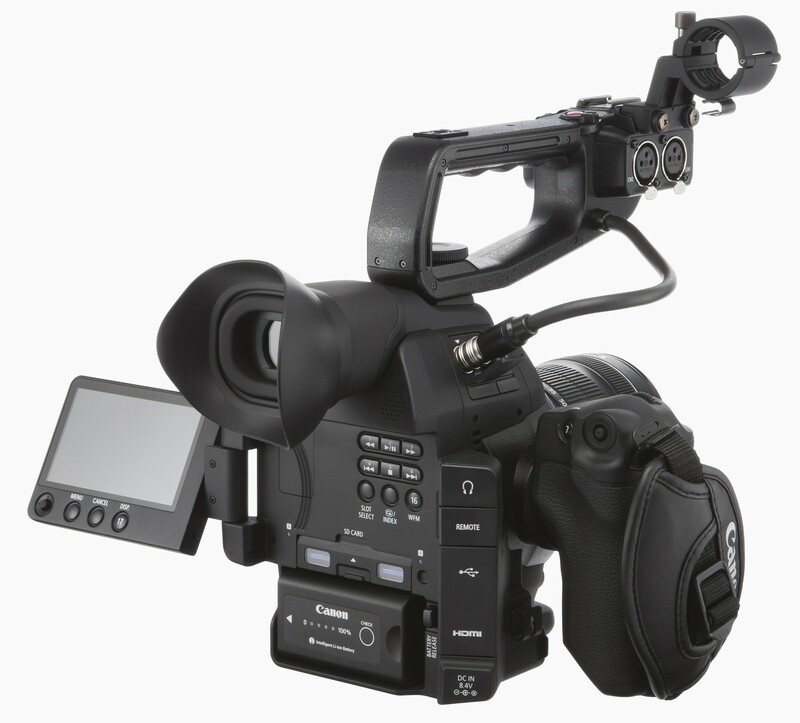 Central to many of the new features of the new EOS C100 Mark II Digital Video Camera is its advanced Canon DIGIC DV4 image processor. The Canon DIGIC DV4 image processor separates the RGB output from the camera’s 8.3 Megapixel CMOS imager into three individual 8 megapixel signals (as opposed to 2MB in the EOS C100) for noticeably improved image quality. 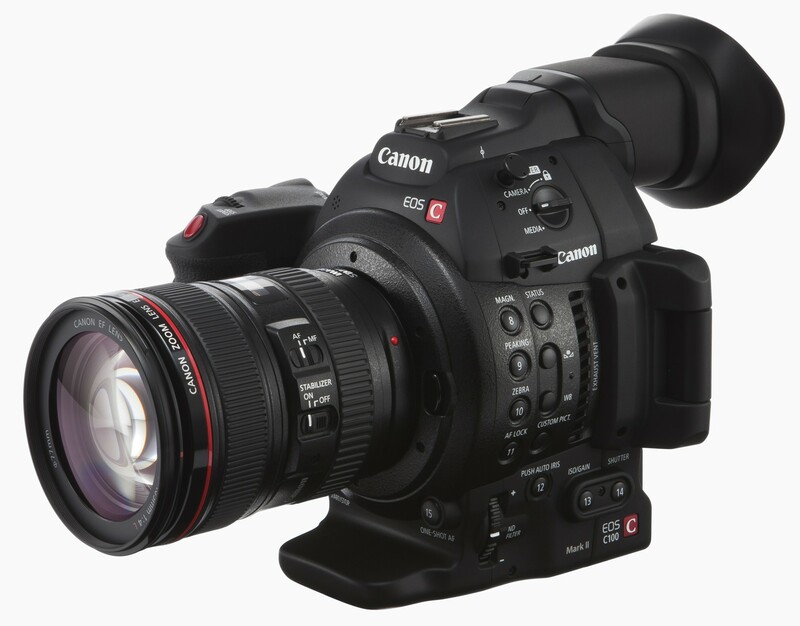 The Canon DIGIC DV4 processor also includes a new debayering algorithm to help minimize moir, and reduce video noise even at high ISO speeds. (high-sensitivity recording on the camera ranges from ISO 320 to 102,400). Users can choose from multiple formats that support MP4 or AVCHD to suit a wide variety of production, post, and output needs. The EOS C100 Mark II camera’s dual SD card slots can record in one or both formats simultaneously for back-up, or convert AVCHD and MP4 files into smaller MP4 files for web upload.v Extended clip times can be achieved by recording continuously from one card to the other without a break. In addition, a Data Import Utility application is included that can seamlessly join divided files to help reduce work during editing and to import video file data from an SD card inside the camera or a card reader. Canon U.S.A., Inc., is a leading provider of consumer, business-to-business, and industrial digital imaging solutions. With approximately $36 billion in global revenue, its parent company, Canon Inc. (NYSE:CAJ), ranks third overall in U.S. patents granted in 2013+ and is one of Fortune Magazine’s World’s Most Admired Companies in 2014. In 2014, Canon U.S.A. has received the PCMag.com Readers’ Choice Award for Service and Reliability in the digital camera and printer categories for the 11th consecutive year. Canon U.S.A. is committed to the highest level of customer satisfaction and loyalty, providing 100 percent U.S.-based consumer service and support for all of the products it distributes. Canon U.S.A. is dedicated to its Kyosei philosophy of social and environmental responsibility. In 2014, the Canon Americas Headquarters secured LEED® Gold certification, a recognition for the design, construction, operations and maintenance of high-performance green buildings. — (b) Different MP4 (4 Mbps or 3 Mbps) recording in sub slot from main slot However, 28 Mbps (AVCHD) and MP4 (4Mbps or 3Mbps) as well as 35Mbps (MP4) and MP4 (4Mbps or 3Mbps) double-slot recording is not possible.